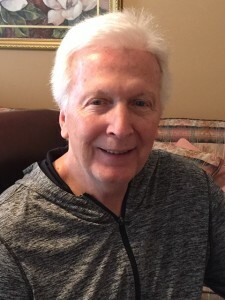 Author Ken Cathell is a retired educator with a thirty-year career as an elementary school principal in Wayne County, WV. Prior to that, he worked as a teacher/coach in Cabell County, WV. Originally from Preston County, WV, he moved to Ashland, KY when he was in the ninth grade and played football, basketball and baseball. Cathell attended Marshall University and was on the track team and served as a student coach in basketball. He graduated with a BA in Education and a Masters in School Administration. He retired in 2000 and he and his wife, Gloria, have three children, Carrie, Matt and Seth and two grandchildren, Caitlyn and Charlotte. Ken enjoys bowling, golf, and spending time at the gym.